Hey Guys! It’s lightningmaster823 here and today I will be showing you the deck that brought my 2nd account to 3k trophies as a lvl 8! The king of beatdown is your main tank in this deck, also your main win condition, never play Golem unless you have 10 elixir. Because there isn’t an Elixir Collector in this deck, it is harder to get an elixir advantage, and your opponent could rush the other lane when you’re low on elixir. Graveyard? Check. Bandit? Check. Hog Rider? Check. Yep, they really can do the job, just make sure you don’t play them if your opponent deploys a prediction Arrows or The Log. IMO the best splash unit to carry in a Golem deck as it deals a decent amount of damage, it is pretty tanky, and it is an air unit, all for the cost of 4 elixir. If possible, try to use it with the Golem in a push. Use it against swarms like Goblin Gang or Minion Horde. I used this card instead of Elixir Collector as Tombstone is basically a combination of 3 other buildings: Cannon, Inferno Tower, and the Elixir Collector. 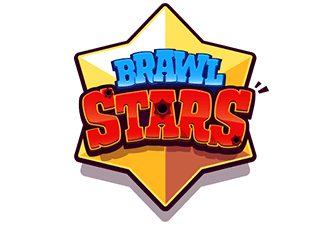 It is like a Cannon due to same cost and similar HP, it is like Inferno Tower due to the fact that the skeletons spawned increase over a period of time, thus, being similar to an Inferno Tower, it is like the Elixir Collector due to the sole fact that the skeletons spawned gives you an indirect elixir advantage (due to it being a spawner). This fella has quite a bit of power in him, even after being nerfed twice, use him as your main anti-air unit (except against swarms), has a decent amount of HP and can survive Fireball (which is already a negative elixir trade), does a decent amount of damage, and is only 3 elixir. Arrows is a quite underrated card as most people would use Zap or The Log, but since I don’t have The Log, I use Arrows. It can take out every unit that Log can, and has the ability to hit air units as well, especially against those pesky Minion Hordes, which can be quite hard to deal with if you use The Log. What kind of a Golem Deck would not carry Lightning (okay maybe some Golem Rocket decks)? Use this spell against 2 other cards as well as the Arena Tower, unlike Rocket, it is instantaneous, meaning it will do damage a lot faster, thus being more reliable against counters, especially Inferno Tower (aka the Beatdown Decks’ worst enemy). Now even though I like Ice Wizard more, I feel Ewiz fits better in this deck as you can use him to reset Inferno Towers placed in the Anti-Lightning Position (as he can snipe the Inferno Tower from the bridge). You can also use him against Goblin Barrel, it will shut it down with 1 stab (0 stabs if the Ewiz is 1 level higher) if timed properly. 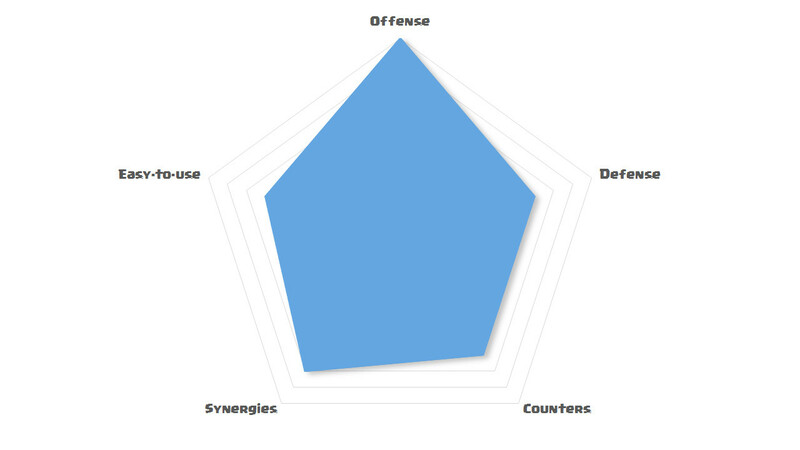 He is also reliable against certain swarms as well (including Goblin Gang and Skarmy). P.S. I originally used Night Witch in this slot, but I felt Ewiz fits better, especially after that huge nerf to the Night Witch back in August and the fact that Inferno Tower is literally everywhere. 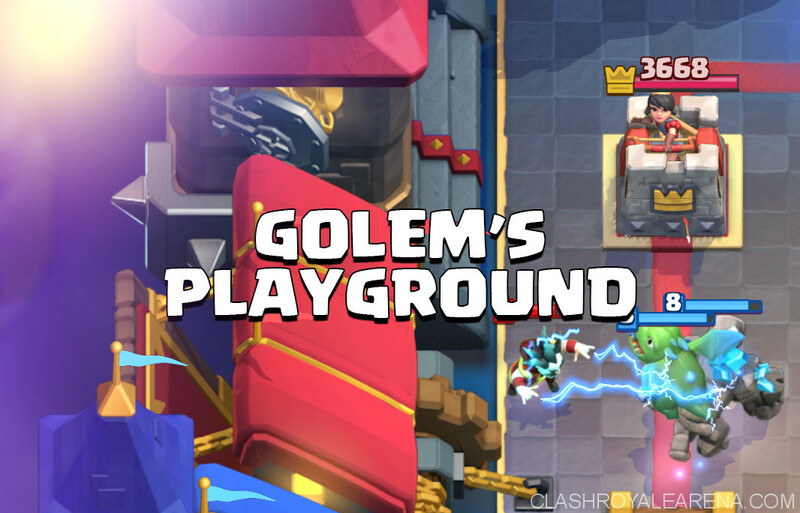 If Golem is in your starting hand, place it behind your King Tower, BUT ONLY IF YOU GET TO 10 ELIXIR! If your opponent rushes in before you can get 10 elixir (which is usually Hog Rider pushes or Miner pushes), defend the push, then plant a Golem if you hit 10 elixir. If Golem is NOT in your starting hand, cycle Goblins or plant a Tombstone 3 tiles from the river in the center to accumulate an indirect elixir advantage. If neither of the 2 options are available, then just wait for your opponent to make the first move, use emotes if necessary. This is when you start trying to make pushes, take some damage if necessary, but defend as much as you can, just keep trying to cycle to the Golem. Keep the pressure with the Golems, even though this deck is a little expensive. This is when this deck really shines, place the Golem in the back if neither of the enemy towers have been taken down, if 1 tower is down, place the Golem on your opponent’s side, your opponent would have to deal with the push. Same as x2 Elixir, but you can also Spell-Cycle with your Lightning, especially if it’s in a challenge. 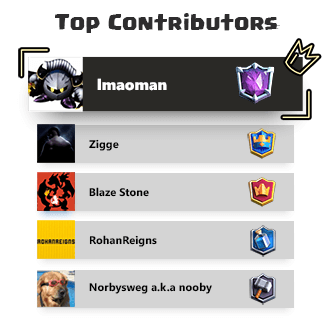 P.E.K.K.A shreds Golem decks, she is currently the 2nd hardest counter to Golem (1st being Inferno Tower). The P.E.K.K.A counterpushes are also very threatening but you can also counterpush and attempt to outcycle the P.E.K.K.A. Occasionally I manage to take out the tower with other cards like even Goblins. If too hard, then play for a draw. Spell-Bait: Hard for 1 reason: the Beatdown Decks’ worst enemy is in almost all spell-bait decks. And they will often outcycle you. 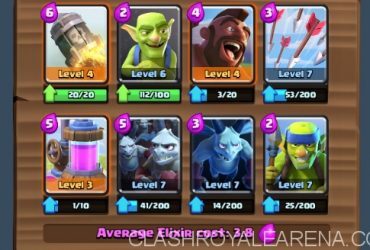 The 1 tip I will give is to just save the Arrows for their Barrel, use Goblins, Baby Dragon, and Ewiz on other Bait Cards, use Lightning or Ewiz on their Inferno (although with Ewiz, their Knight could be a problem). 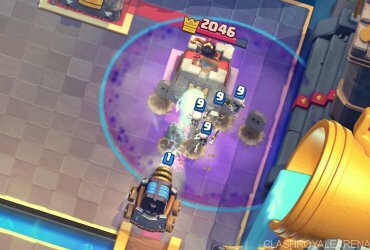 Ebarbs do almost the same job as P.E.K.K.A but for 1 elixir less, they are also fast, but you can try to make a Golem push and use Lightning to severely weaken them, you can also use Goblins and Tombstone against them. But unlike the meta variant, this one is easier to deal with Hog Rider as it uses Tombstone rather than Elixir Collector, you can also use Ewiz, Goblins, or Mega Minion on their Hog as well. Giant: Not too hard as long as they don’t outcycle you. Use Tombstone for the Giant and Mega Minion, Goblins, Ewiz, and/or Baby Dragon on Supports; however Witch can be a headache to deal with. Lava Hound: Not that bad! Save your Mega Minion and Ewiz, but beware of Lightning, you can also pull the Hound with Tombstone. You will take a bit of damage, but focus on Golem Pushes, place Golem on the same lane as RG to tank the supports. Which one cycles faster will probably win; otherwise play for a draw. Read this guide for more details! Siege: By far one of the easiest matchups as you have so many hard counters to their win condition (which would be X-Bow or Mortar). Just be aware of Inferno Tower or Inferno Dragon. Support the Golem with Ewiz all the times. Spawners: You won’t encounter this a lot, but if you do, Lightning would be your best friend here, along with Baby Dragon. Graveyard: you have 3 hard counters (Goblins, Baby Dragon, Ewiz), not that big of a problem unless they outcycle you. Hope you enjoy my 5th guide! Hope you can gain trophies and not screw up. Get to Arena 7 with this Arena 6 No-Epic F2P Deck!